Windwalker's Thunder Road, a whippet white Weimaraner with brindle. 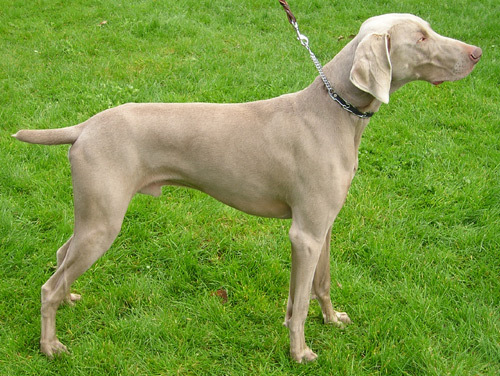 – The Weimaraner's coat color led to its nickname of the "Silver Ghost". Taken Feb 22, 2004 at the SMART/USDAA dog agility competition in Salinas, CA.